I was recently introduced to a stamp company "The Ton" that makes gorgeous stamps for coloring... I then bought a ton (pun intended...) of their stamps. I picked up 4 of the large square coloring backgrounds. This is the fourth card and last of the large background stamps I bought, although I have a bunch of their smaller stamps BIG GRIN. You have some of the smaller stamps, too? You went on quite a shopping spree! You're very good about getting busy and using your new things right away while I'm still trying to catch up with years' accumulation. I'm especially smitten with your coloring of the single branch. So pretty and coordinates beautifully with the background. 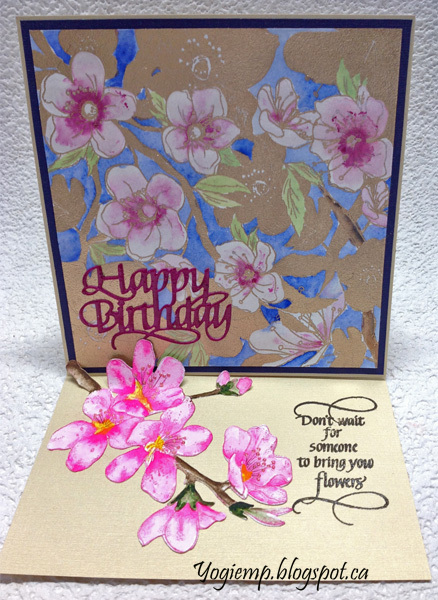 A beautiful easel card, your colouring is beautiful. Thank you for sharing with us at Alphabet Challenge. 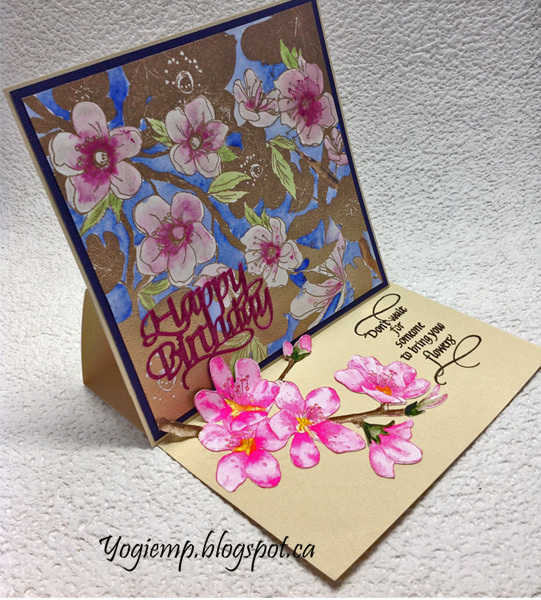 a fabulous flowery easel card! Beautiful. Thanks for joining us at Simply Create Too.